Boomer - Kindle edition by Robert Hatting. Literature & Fiction Kindle eBooks @ Amazon.com. A Period Western -- The sheriff of Tucson, Arizona Territory in the late 1800's adopts a orphan teenage boy. The young man is key to a mystery concerning stolen gold coins. Rated G, 72,000 words. This tale is a western read, but it is more than that, throw in murder, mystery and greed for starters. Henry Boomer is the sheriff. He has his deputies and he also has Wolf-boy Peters who helps out. Wolf finds a man gut shot, only to find it is his uncle Arlis. When Arlis dies he leaves his possessions to Wolf and a bog mystery that is going to take Wolf, the sheriff and his deputies on a great old western hunt for the truth. This is a good western that is well written and has a bit of everything for every taste in books. A good story overall. Sheriff Boomer befriends a young man while trying to solve the mystery of land and cattle stealing. I didn't care for the frequently changing point of view. There were several typo/missing words. Otherwise an enjoyable western tale. 5.0 out of 5 starsWestern Lore. Enjoyed this book. I think it would make a wonderful movie or a series. Love the sheriff and the other people made me wish they were my neighbors.The author has a great way of writing and your interest never wanes. Thanks,Robert Hatting and Amazon.com! 5.0 out of 5 starsNot a fan of Westerns. Read this book anyhow. You'll enjoy it. This is my third book by this author. I was given a gift of Alaska Be Damned and enjoyed it so much I read another of his books after sampling it. It was not a genre I normally read. (Romantic comedy.) Sooo, I thought I would try another, westerns, which I never read by choice. I thoroughly enjoyed it too. Took me back to the days when I watched westerns on black and white TV. The book is more realistic than the westerns we used to watch. The characters, plot etc. all good reading. Forget its a western and read a good story! 5.0 out of 5 stars"Boomer is a hit!" Something about Robert Hatting's Boomer, set in the Arizona Territory of the late 1870s, reminds me of the classic tales of Will James. I think it's the way Mr. Hatting knows his way so very well around ranch life, horses and the ways of the old west including its people. Then there's the storytelling. Boomer is chock full of adventure, robbery, intrigue, and lest I forget...interesting characters. My favorite, besides Sheriff Henry Boomer, is Wolf, another is Milly, a strong-willed, determined young woman. She'd have to be to survive in this time and in this place. All, even the most trivial characters, are vividly brought to life; no one rings phony. 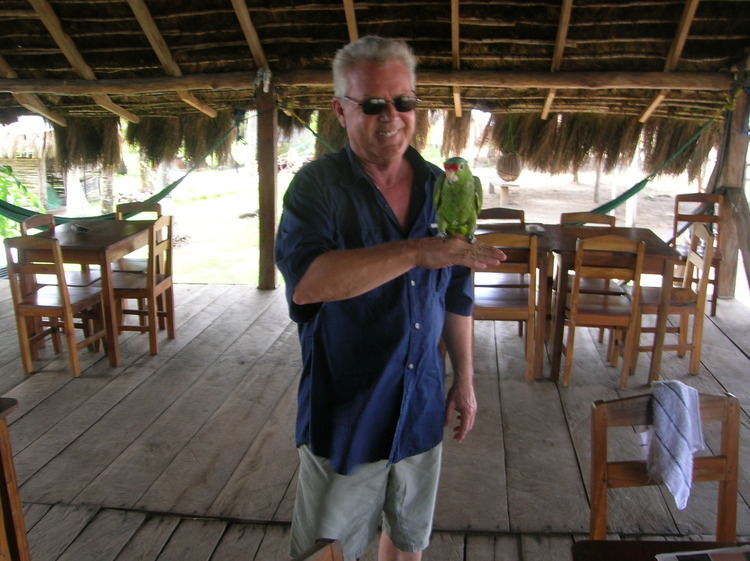 This is a writer who's seen his share of life and living and understands how to communicate that in his novel. Five stars to Boomer. Enjoyed reading this book by Batting. Characters were believable and very interesting. I would definitely recommend this book to anyone wanting to read a good western story. 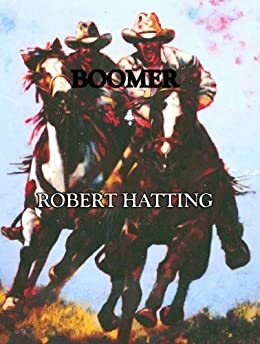 I have just finished reading Boomer by Bob Hatting. It is a wonderful book for both young and old and holds your interest throughout the entire book. I thoroughly enjoyed reading it and think the author has a terrific feel for the old west. I highly recommend this book to all your readers. When the hero, Sheriff Boomer, looks after a local orphaned teen, little does he realize that he will end up dealing with rustlers and unsavory characters attempting to hunt down the missing $60,000 of $20 Gold Eagle proceeds from their 4 year old bank heist and massacre which was planted on the teen's ranch. The author's knowledge of the old west, ranching and livestock provides so much detail that you really live each minute of action and feel a need to unsaddle your horse and rub it down when it is all said and done. This is one great reading book.